Namaste England poster: Parineeti Chopra, Arjun Kapoor are ready to take you on a joyful ride! Namaste England poster: Ishaqzaade actor Arjun Kapoor took to his official Twitter account to share the new poster of Namaste England. The makers are all set to release the first official Twitter of Parineeti Chopra-starrer tomorrow, September 6. Ladies vs Ricky Bahl star Parineeti Chopra took to her official Twitter account to share a cute clip of her having fun during the making of Namaste England trailer. Nervous about how the audience is going to react to the trailer, Chopra shared a funny photo of her and Arjun Kapoor in shades. Also Read: Disha Patani’s sensuous photos will drive away your mid-week blues! Parineeti Chopra in her latest Instagram post wrote, “As usual, I will be right and he will be wrong. Its ok Arjun Kapoor you can start preparing to lose this bet from me. When do YOU guys think the Namaste England Trailer is coming?” Excited for the upcoming thriller that will take to the galiyaan of Punjab, Arjun Kapoor and Parineeti Chopra in the latest video confused the super excited fans. Vipul Amrutlal Shah directorial Namaste England starring Parineeti Chopra, Arjun Kapoor and Aditya Seal will hit the theatres on October 19, this year. 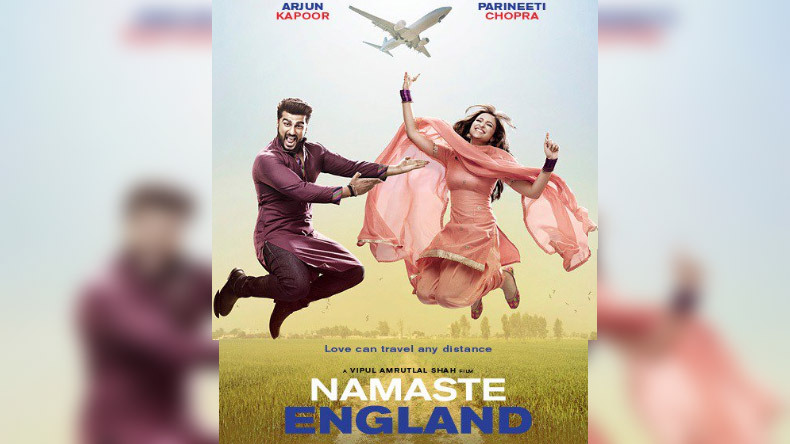 Made under the banners of Pen India Limited, Namastey Production Ltd., Reliance Entertainment and Blockbuster Movie Entertainers, Namaste England which is the sequel of Namastey London is bankrolled by Vipul Amrutlal Shah, Dhaval Jayantilal Gada, Akkshay Jayantilal Gada, Reliance Entertainment, Aashin A. Shah, Reshma Kadakia, Kushal Kantilal Gada, Firuzi Khan and Sameer Chopra.